Scotmid, Scotland’s largest independent retail co-operative, has announced a £4.5m operating profit (before exceptionals, for the 52 weeks ended January 25, 2014) down £1.5m on the same period last year, highlighting that there has been no discernible improvement in consumer confidence in the Society’s core markets. 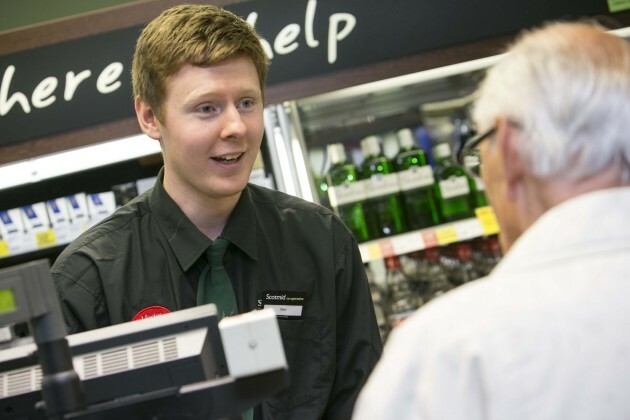 John Brodie, Chief Executive of Scotmid Co-operative said, “At this time last year I predicted a challenging year with a static marketplace and this has been the case. Consumer confidence in our core markets remains low and this is borne out by the Scottish Retail Consortium recording a like for like sales decline for the 2013/14 year. “In this context, Scotmid delivered an operating surplus before exceptional of £4.5m compared to £6m last year. Like for like retail sales were ahead of the Scottish market and with the benefit of a merger with Penrith Co-operative total sales increased by £3m to £381m. Our balance sheet continues to remain strong with assets of £90m. “We have continued our investment in business initiatives, and process developments have delivered significant benefits in the year helping to mitigate the impact of some of the external market factors. The roll -out of in- store bakery counters, the refit of 10 more stores to the award winning Premium Fresh format, a strategic property investment in central Edinburgh and pension de-risking measures were particular highlights. “However, downward pressure on prices and a further reduction in the Co-operative Group corporate dividend impacted on margins. “In October, the Society completed a successful transfer of engagements with Penrith Co-operative Society with 12,000 members and 170 colleagues transferring into the enlarged Society. Nine stores have been integrated into our food convenience business and will trade as Lakes & Dales Co-operative. “Semichem store sales outperformed the market with the benefit of the introduction of tobacco; however, the high street non-food retail sector, particularly in Northern Ireland, proved extremely challenging. In 2013, the Society was successful in keeping open a number of unprofitable Semichem stores by negotiating more favourable rents with landlords. This remains an important objective in 2014. “However, during the period it was necessary to take the difficult decision to close six unprofitable Semichem stores and end The Fragrance House trial that will result in the closure of these six stores. “The Society’s non-retail businesses continued to make progress with Property showing good growth and Funerals continuing to grow with the opening of a further three funeral homes. “Scotmid members continued to support the development of the Society’s membership and democratic structures with the approval of regional changes to include West Lothian in our East Region and transitional arrangements for Lakes & Dales to operate within our West Region.